One and a half hours by car (or bus) from Boston, the city of Newport, RI is a laid-back, quintessential New England coastal town that's a good alternative to more toursity destinations like Cape Cod and Nantucket. Its cultural associations call to mind images of wealthy heiresses swinging polo clubs in private country clubs, and in many ways, that's half right. The Vanderbilts, the Astors, the Tennis Hall of Fame, the Newport Jazz Festival, the famous mansions along Belleveue Avenue: all of these point to Newport's rich heritage of outdoor sports, architecture, and the high life. But for first-timers to the Northeast, a visit to Newport's historic downtown is a must. Leaving from South Station in Boston, Peter Pan buses run four times a day; and at $52 per roundtrip ticket, the detour practically pays for itself in convenience alone (you'll disembark in downtown Newport, right outside the Marriott Hotel). If you've already rented a car in Boston, it's a straight shot south along route 24 to Aquidneck Island, where Newport is located. Newport is incredibly pedestrian-friendly – so while a rental car will help you explore some of the local beaches and nature spots (the nearby Norman Bird Sanctuary costs only $6 to enter, and yields several hours' worth of sightseeing), it's not required to get a sense of Newport's scenic waterfront area. At Bowen's Wharf, witness a traditional 18th century seaport remade as a boutique shopping district, complete with art galleries, bakeries, and high-end clothing shops. After December 7, show up here to see the Christmas tree all lit up in front of Newport Harbor with its bobbing sail masts and impressive tall ships farther out. At the top of Thames Street, you'll come to Washington Square, which is anchored by several park benches and an imperial-looking statue commemorating the War of 1812's Commodore Oliver Hazard Perry. Here marks the boundary of Newport's historic district, which contains one of New England's most impressive collection of Colonial houses. Simply wander along the side streets to marvel at the three-hundred year old structures, each marked with a little plaque noting the year it was built. At one end of Bellevue Avenue, the Hotel Viking is worth a visit for its ballroom alone; though its "Top of Newport" bar is closed for the season, The Bar at Vanderbilt Grace on Mary Street is a popular meetup spot for locals (guest or not, you can even bring your cocktail up to the roof to catch the sunset!). Next month, from November 1-10, Newport Restaurant Week is a worthwhile opportunity to try out some of Newport's top dining establishments at a fraction of the normal price. In addition to individual promotions like Pour Judgment's "$8 Burger N' A Beer" special, 54 participating restaurants will be offering a three-course lunch for just $16 (or $30 for dinner), including newly-opened joints like Midtown Oyster Bar, Tavern on Broadway, and Jo's American Bistro. Browse the full list of participating restaurants here. 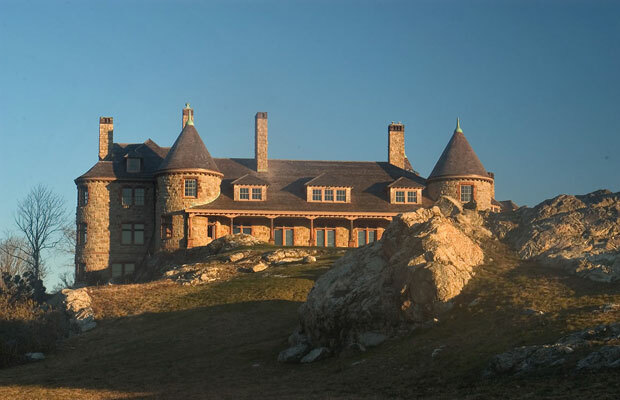 Meanwhile, if it's the mansions you came for, then it's the mansions you'll get, thanks to a combo ticket package available through the Newport Mansions foundation. Purchase a $24.50 "Breakers Plus" ticket for access to the Breakers (the former summer home of Cornelius Vanderbilt) as well as one other mansion of your choice; or upgrade to a 5-mansion pass for just $6 more. With Newport's abundance of daytime sightseeing and shopping activities, it lends itself well to a quick daytrip from Boston. The colder months mean no swimming at the beach, so come evening, you'll be ready to retire to your hotel – whether that means spending the night in one of Newport's reasonably-priced inns (current rates for fall start at $90, with plenty of deals available here), or heading back to Boston depends on how much time you have.